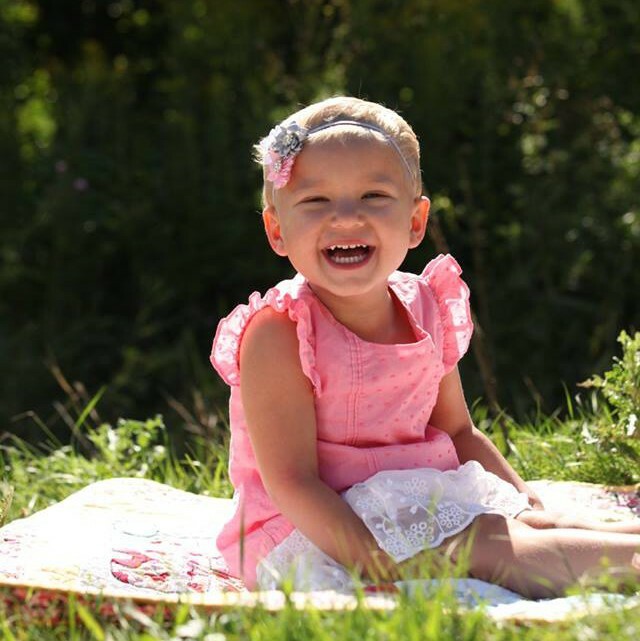 Today officially marks the day that Scarlett was diagnosed with leukemia – her first cancerversary. As I have mentioned this word and our plans for the day, I have gotten a lot of strange looks and the inevitable “why on earth would you celebrate that?” We aren’t celebrating because of the monster that lives inside her. We are celebrating the people that we have become despite that. Today, Scarlett is thriving. Despite everything she has been through, she is happy. She is on her way to being healthy. One year ago, no matter how optimistic a person is, we had to admit that this point might not come. For some families it doesn’t. And a few months ago, when she had a 50/50 chance of beating an infection, we prayed for this day. Today, Scarlett is running. She talks non-stop. She laughs and plays pretend. She has come a long way from the cold, weak tired little girl that just wanted to lay down and watch movies. So on her first cancerversary, we will celebrate the life that is because she is a fighter. Today is also a celebration of the road we have travelled. One year ago, I can say that we were alone. Since that day we have made great new friends that travel this road with us. We have met fighters, survivors and angels. We have celebrated their victories and cried when they have stumbled. We have shed tears and said prayers when they earned their wings. All of these things that we never had the time or courage to do before. And we have had the support of loved ones, friends old and new, and strangers that have lifted us when we couldn’t take another step. Today is as much a celebration of all of you as it is for us. We are celebrating today because we have become better people. We are more accepting, open minded and forgiving. We have a purpose in life now. We have been encouraged to give back and pay it forward. No matter how much we do in the future for other families, we know that it will never be enough. There are other families out there that don’t have as many blessings as we have. One year ago we couldn’t see that. Today, it is all we see. So today, on Scarlett’s first cancerversary, we will celebrate. We will eat cake and have parties. We will laugh and cry. And we will look forward to next year when we can celebrate her growth and survival as well as our own.